This is South Africa’s version of snowboarding – without the restrictive Michelin-man gear and in a mild climate! 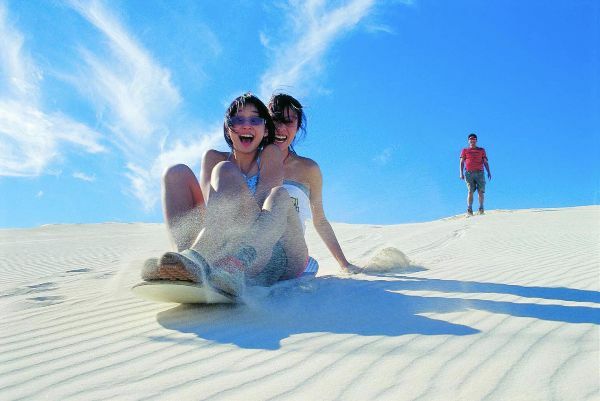 Cruise the beautiful Atlantic Dunes, located just half an hour from Cape Town, and enjoy incredible views and the rush of this awesome adventure activity. Dunes are up to 35 metres in height!